CSRA believes that social business will play a significant role in reforming healthcare worldwide, but especially in the United States because its healthcare system is extraordinarily costly and inefficient according to many metrics. Digital social technologies, work styles and culture enable collaboration at a new level and can remove much of healthcare’s current inefficiencies. The Chief Digital Office is packed with ideas and tools for using digital social business to transform brands, businesses and enterprises. As reflected by several years of CSRA coverage of healthcare thought leaders, U.S. healthcare is headed for significant disruption over the next 15-20 years, and I predict that changing the patient-provider relationship will be critical in achieving better outcomes at lower costs. “Health” will morph into a collaborative relationship between patients and providers. Social business will be a major enabler of the trend. The U.S. healthcare system the most costly in the world, so it is in severe need of change, but the U.S. faces an aging population and expanding healthcare costs. Moreover, citizens (voters) have high expectations, but treasuries are empty, so healthcare is a major issue that has a tremendous impact on productivity and the economy. Major municipalities and bankruptcies in the U.S. are precipitated by healthcare costs. It badly needs reform. On the positive side, leaders are starting to use digital transformation to drive significant productivity gains in all areas of healthcare practice and procedure. Since the industry has changed little in centuries, it harbors incredible inefficiencies, which add up to tremendous potential. Digital cuts the costs of information and collaboration, and multidisciplinary design professionals bring new eyes and minds to all areas of healthcare. Here is a list of all CSRA Healthcare-focused posts and articles. 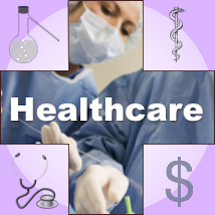 Here are CSRA social business posts that mention healthcare. Traditionally, the participants of the U.S. healthcare system have operated in isolation, which leads to extensive inefficiency. Providers operate “islands of care” whose data is inaccessible to other providers. Patients receive a flurry of “explanations of benefits” from payors as well as bills from providers, all of which tend to have errors and lead to confusion and slow/non-payment. On the prevention front, tablet and smartphone apps are using social and gaming design to reward patients for healthy behavior. As these disruptive innovators show, the entire prevention and care stream is being digitized. Digitizing provider communications—providers still make notes on paper, charts, which acts to prevent transparency, increases errors and increases length of care. There are legions of startups that use mobile application interfaces to get all providers on the same page. Provider referrals and coordination—did you know that between one third and one half of specialist referrals are not acted on by patients? Increasing transparency among general practitioners, patients and specialists could improve patient care. Telemedicine—Startups enable hard-to-serve patients to gain access to providers using mobile apps, video and provider networks. Reengineering the exploding patient pay problem—U.S. employers and governments are goading healthcare patients to be more accountable financially for their healthcare decisions by ratcheting up patient accountability. This takes the form of higher copays and deductibles, but providers don’t have the tools or the competencies to collect payments from patients; their business processes are oriented toward payment by payers (insurance), which are steadily cutting coverage. Digital platforms boost provider collaboration—health systems are bastions of islands of automation, and startups and enterprise vendors are addressing them straight on by designing highly secure proprietary collaboration spaces that transcend multiple parts of the provider ecosystem. Digitizing healthcare administration—one third of U.S. healthcare costs are not for treatment, but for “administration” (billing). Patients often receive multiple bills from multiple providers after a treatment, their insurance covers part of the costs, but they must administer payments. Mistakes are constant and costs considerable. Social business can provide transparency and eliminate duplication of efforts. Health improvement through prevention—these startups claim to modify patient behavior to improve health, using smartphone and tablet apps. Medical tourism is creating a global healthcare market—patients find information online and seek care far from home. This has created national, and international, markets for myriad procedures. Provider ratings—Although some online ratings websites are frivolous, increasing transparency about provider specialities, outcomes, costs and other value metrics is critical to improving efficiency. Patient collaboration—Patientslikeme is an excellent example of how patients can help themselves become more informed and better partners for providers. CSRA analyses and reports on healthcare transformation. CSRA helps healthcare firms to use social business by: understanding patients, markets and partners in new ways using social data; interacting with patients and partners using social technologies; by transforming organization to maximize collaborative innovation. To learn more, contact us.